EVEN IF YOU’VE HEARD OF PPC, OR PAY-PER-CLICK ADVERTISING, YOU MAY NOT REALIZE THE FULL LANDSCAPE INVOLVED IN THIS DEVELOPING AREA. IN LAYMAN’S TERMS, ADVERTISERS ARE ABLE TO BID ON WHETHER THEIR ADVERTISEMENT WILL DISPLAY ON A SEARCH RESULTS PAGE FOR A PARTICULAR SEARCH TERM. Even if you’ve heard of PPC, or pay-per-click advertising, you may not realize the full landscape involved in this developing area. In layman’s terms, advertisers are able to bid on whether their advertisement will display on a search results page for a particular search term. The ads will generally direct viewers to a specific location on your site, often a dedicated landing page. You then pay a fee based on the number of views of clicks to your site — in the hope that these new visitors will become leads. HIGHLY-TARGETED TRAFFIC. The leads coming to your pages are already pre-qualified. As long as you’ve selected your keywords well, leads are already looking for what you’re offering. SPEED TO MARKET. PPC advertising can be launched quickly to support a time-sensitive event or new service offering. REACH BEYOND THE NORM. When you want to expand your audience beyond the people already coming to your site or seeing your presence on social media, PPC is a great option. TEST, REVISE, TEST AGAIN. Rapid deployment means rapid testing capabilities. You can quickly and easily test on low-risk keywords to determine if its worth expanding your marketing efforts in a particular direction. MANAGEABLE COSTS. Unlikely some other forms of marketing, PPC advertising allows you to dip a toe into the water without a massive upfront investment — something that is highly sought after in the marketing world. While PPC advertising in Minneapolis is great at driving people to your website or landing page, it’s important to realize that this is a very tiny first step in your sales cycle. Once you have identified interested leads and gotten them to your site, you still have to provide compelling content to encourage them to engage on a deeper level. Our PPC services are best when paired with custom websites or landing pages to provide a holistic marketing strategy that is targeted to drive new leads and sales to your business. 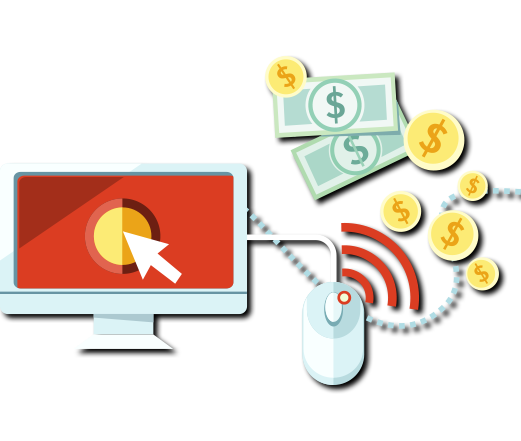 Trying to manage your own pay-per-click campaign, when you should be focused on running your business? There are literally hundreds of variables that can cause the costs of your ads to skyrocket and adversely affect optimization and click-through rates (CTRs). While Google provides a fair amount of self-led training, they do not offer hands-on assistance with your AdWords campaigns — and many beginners to PPC rely on expensive testing to figure out the magic mix of bidding strategy, campaign structure and copy optimization. Determining just the right keywords to maximize your ad spend takes time and determination, and a certain amount of innate knowledge. 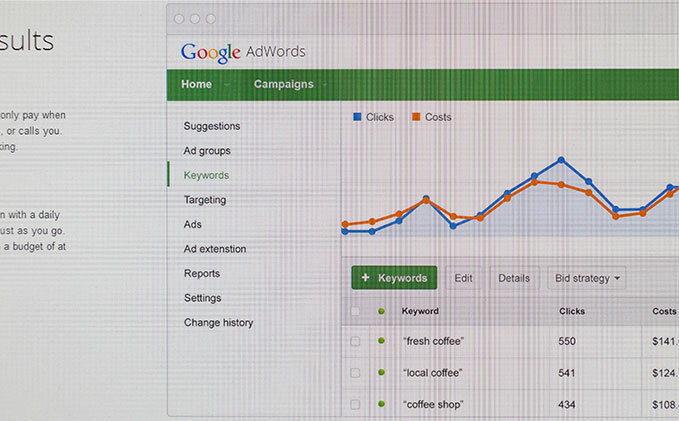 Our team will work with you to streamline the tedious and time-consuming task of running an AdWords campaign well. We will take you through the three levels of AdWords management: experimentation, optimization and growth — and you’ll see the results through increased ROI as well as a higher traffic volume to your site than you would with a DIY approach. Isn’t it frustrating to have a name at the tip of your tongue, and simply be unable to remember it? Remarketing ads help overcome this inertia, by offering your ads across the web to prospects who have already clicked once or expressed interest. 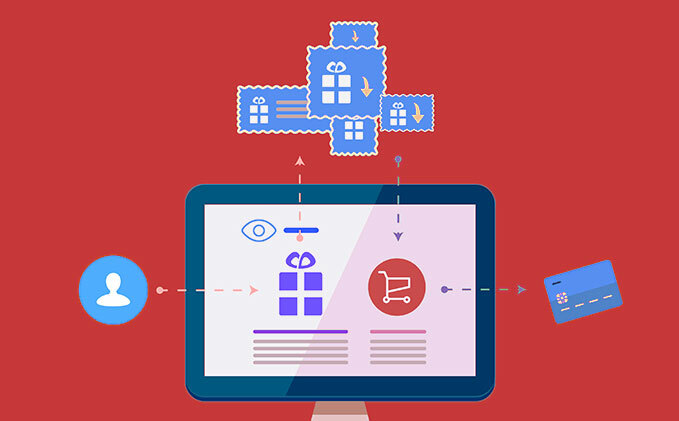 Whether your prospects visited your website once and didn’t complete a form, or made it to your shopping cart but didn’t purchase, remarketing ads help bring each customer into the fold through their unique customer journey. Very few customers are ready to purchase the first time they find your site. However, as they think about the reason they started a conversation with you in the first place, even subliminal reminders of your service may add up to top of mind presence when it is time to make the sale. Our advanced tools help you touch these important customers again, letting them know gently that your offering is still available and attractive to meet their needs.